Have you thought about compiling columns, or blog pieces, which are really columns if you think about it, into a book? I've done two so far, and learned a lot about the process. It isn't a matter of simply plopping the columns into a book. A great deal of thought and work are involved. 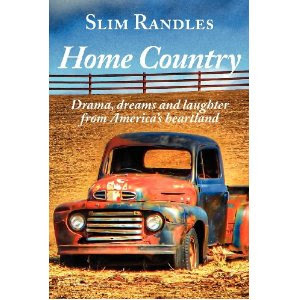 The first book that I read that was a compilation of weekly columns was Home Country, by Slim Randles. 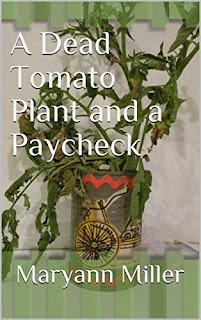 He has been a frequent guest here at BRP with some of his humorous essays that apply to writing, and he is also a regular guest on my blog, It's Not All Gravy. I first met Slim when I was Managing Editor for WinnsboroToday.com, an online community magazine that ran for close to ten years. Slim contacted me to see if I would be interested in his columns for my publication, and I said sure. They were free. We had no budget for paying freelancers. The columns were, and continue to be, quite good. And my readership boosted his overall readership. It was a good arrangement for both of us. When Slim's book, Home Country, came out, I was eager to read it. First because I am a fan of his work, but I also wanted to see how he took his weekly columns and organized them into a book. That was something I was idly considering doing with the humor columns I'd written for many years for a Dallas suburban newspaper, and I knew some kind of organization would be needed. I also learned that some thought has to be put into considering which columns to include and which you should not. As most of us who have been writing for many moons know, not all words are like gold. Some of them can go away and nothing is lost. 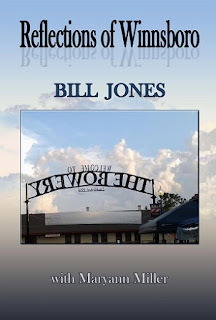 While I did not put those tidbits of wisdom to work on my own book right away, I did use them when I worked with the Winnsboro Historian, Bill Jones, on his book, Reflections of Winnsboro. 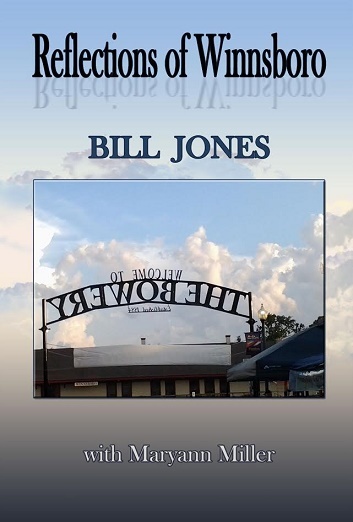 We had worked together to write Images of America: Winnsboro for Arcadia Publishing, and after that book came out, folks started telling me that it would be great if the columns Bill wrote for the local newspaper could be put into a book. I agreed. 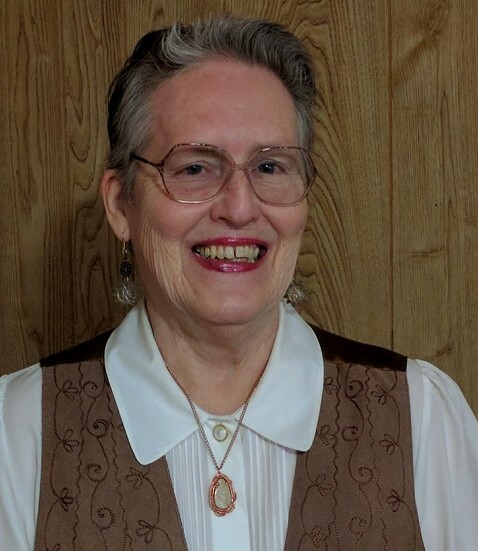 Bill has been writing for the Winnsboro News, as well as other regional publications, for a lot of years, and there is a wealth of historical information that should not be lost. What is especially neat about Bill's writing, and Slim's, is that they both involve stories. Slim tells stories about a fictional place and fictional people who hang out at the Mule Barn Truck Stop, but those fictional people represent real people who gather regularly at a small town diner to share news and fellowship. Over a period of six months, I met with Bill on a weekly basis as he gave me columns to consider including in the book, and we talked about organization. We had a basic outline from the Arcadia book and decided to follow that, chronicling the history of the area from the earliest years of Native American occupants to the present. Then it was my job to sift through the hundreds of columns, arrange them according to our outline, and start reading the ones that should be in the book into my computer for editing. After that, I went through and, in some places, wrote transitions from one column to another. That was something else I'd noted in Slim's book. Since I was so familiar with his weekly column, I could see where he smoothed the transitions from one to the other in the book. Working with Bill was a privilege and a joy, and I was honored when he said my name should be on the book because of the work I'd put into it. Bill and I are working together again, along with Sue Craddock-Hamm, on a book, Down the Webster Road, which tells the story of the oldest settlement in that area of East Texas that encompasses Wood Country. Sue lives on property that has been in her family for 150 years, so there are lots of stories that land has to tell. While waiting for material to come to me from Bill and Sue, I went back to finishing my humorous memoir, A Dead Tomato Plant and a Paycheck, and it is now available for Kindle and paperback. I was so glad that I had what I'd learned from studying Slim's book and working on Bill's, to use as guidelines for my book. While it didn't eliminate the work of organizing and sifting and editing, I wasn't lost in a sea of confusion as I tackled it. Do you blog? Are you going to try to put the blog pieces into a book? I have a blog of sorts on my website, but I don't blog anywhere else except at BRP. One of the big takeaways for me in your post, Maryann, is different skills are needed for different types of writing. Of course, the grammar stuff remains fairly constant, but the ability to effectively tie together a variety of elements requires a skill set not necessarily needed in novel writing, for example. Learning curves greet us when we change the kind of writing we do, and we should welcome them. The more we know, the broader our experience, the more we improve in our profession. Great post! I hadn't thought about that difference you point out, Linda, but you are right. And now I can see how the writing, and editing, process is different for this type of book. I'm glad you enjoyed the post and found it helpful. I'd thought of doing that with a series I posted for the A to Z challenge one year. Setting up the order would be easy though...I have 26 fables using animal/bird names from A to Z. That would be a neat book, Pat. Let us know if you publish it. Hi Maryann. I wrote a column for kids for 8 years for a regional monthly magazine. A few years back I put them into a book for kids. I divided it by months. It worked well for me, since in my columns I included easy crafts, recipes and stories for kids that was usually associated with the season it was published.I called it Fun Through the Seasons: Recipes, Crafts and Fun Facts for Kids. That sounds like a terrific book for kids. Thanks for letting readers know about it. I bet some moms would love to get that for their kids. I have links to my blog posts on my website, which reminds me, I need to update those links with more of my BRP posts. Like Linda, BRP is the only blog I participate in.